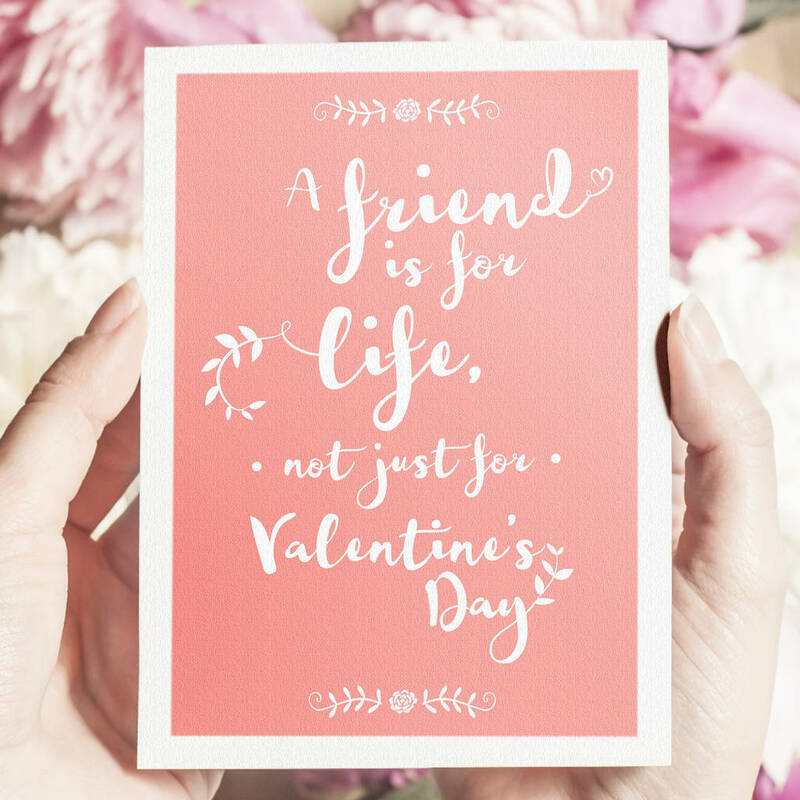 Share the love with your besties this Valentine's day. 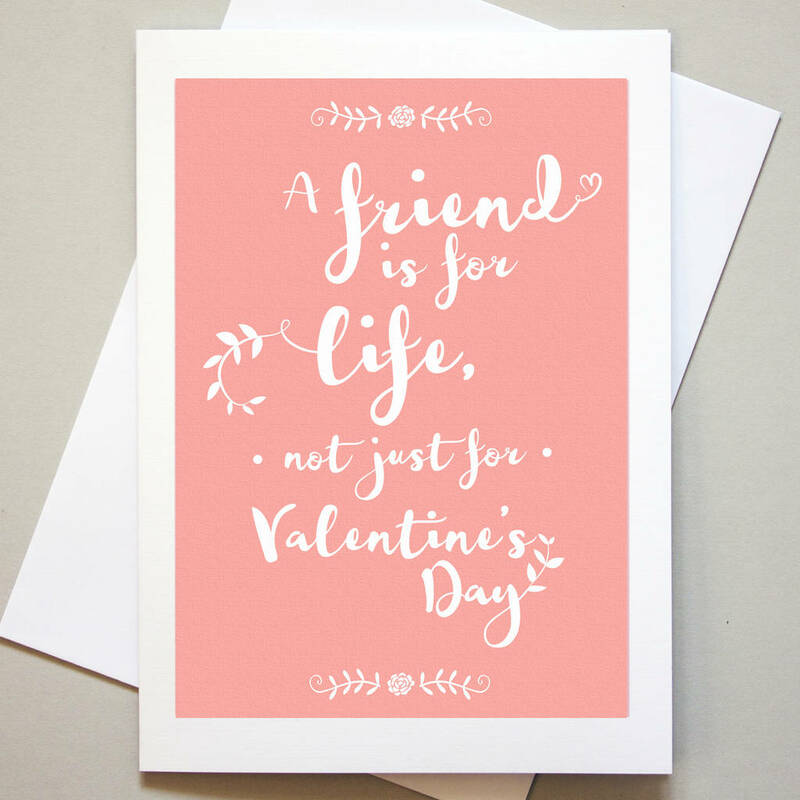 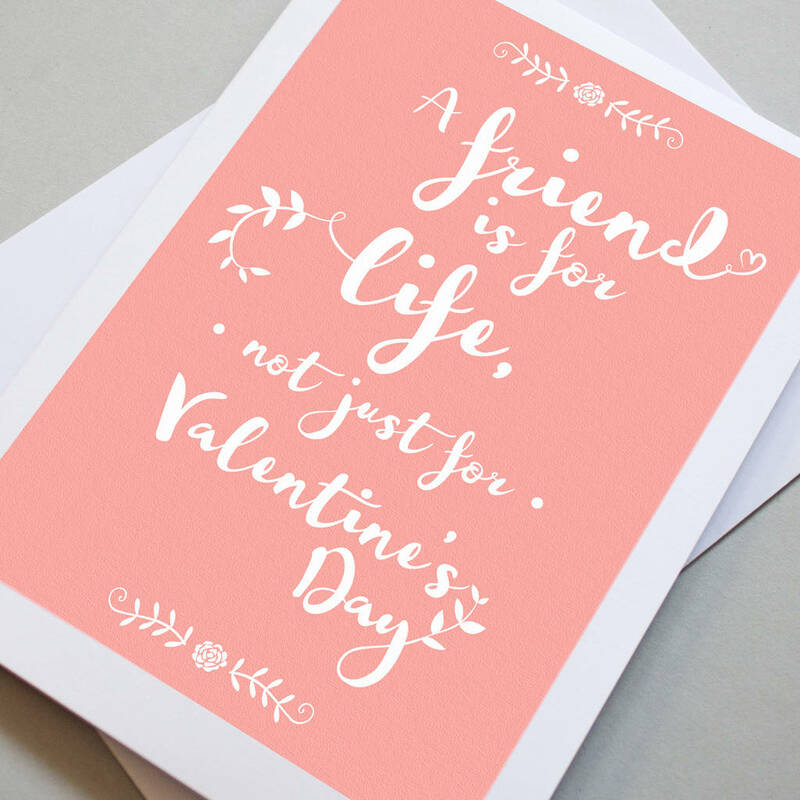 Show your friends how much you love them with this heart warming card, featuring a typographic design on a light pink background. The front of the card reads: 'A friend is for life, not just for Valentine's' Day'.